Some of my fondest memories of Craig Kauffman are from coffee shops. Craig knew the diners and coffee shops of Los Angeles pretty well. When we traveled together, we also met for breakfast, sometimes in a hotel and other times in a neighborhood diner. Over the years we had breakfast in New York, San Francisco, Nagoya, Paris, Zurich and Manila. No matter where we went, Craig was absolutely punctual. He always greeted me with the same, “Hey, there he is!” From the beginning of our breakfasts, I learned that coffee shops were a big part of the inspiration for his work. 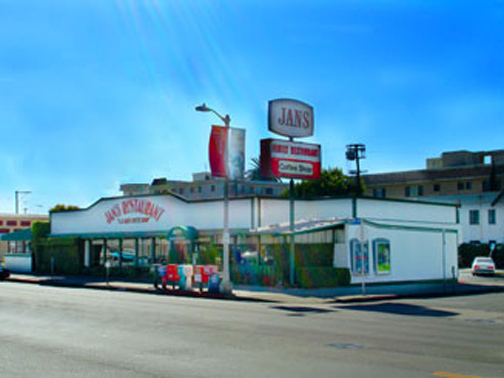 I learned that it was in the early 1960s, at Jan’s coffee shop on Beverly Boulevard, that Kauffman said he had “seen sort of resin decorative things, where the color was sort of transparent and rounded out.” Like so many artists, Kauffman found strange beauty in the commonplace. Craig could find source material anywhere. Sometimes it was sort of perverse and contrary, or unexpected. He wasn’t looking for materials that would emphasize the surface, and that’s often misunderstood by critics. He was looking for an unorthodox support for painting, and wanted to find a way to paint pure sensual color. When Frank Gehry took a ceramics class in college, it marked a turning point. His ceramics teacher at the University of Southern California, Glen Lukens, clearly recognized Gehry’s interest in architecture. Since Lukens was building a house designed by architect Raphael Soriano, he invited the young Gehry to visit the site one day. That’s when Gehry got excited about architecture: “I do know a lightbulb went off when I saw Soriano,” he recalled. Since that time, Gehry has maintained his interest in ceramics, too. He made ceramic works during his student days at USC, and he has collected work by Glen Lukens, Ken Price and George Ohr. 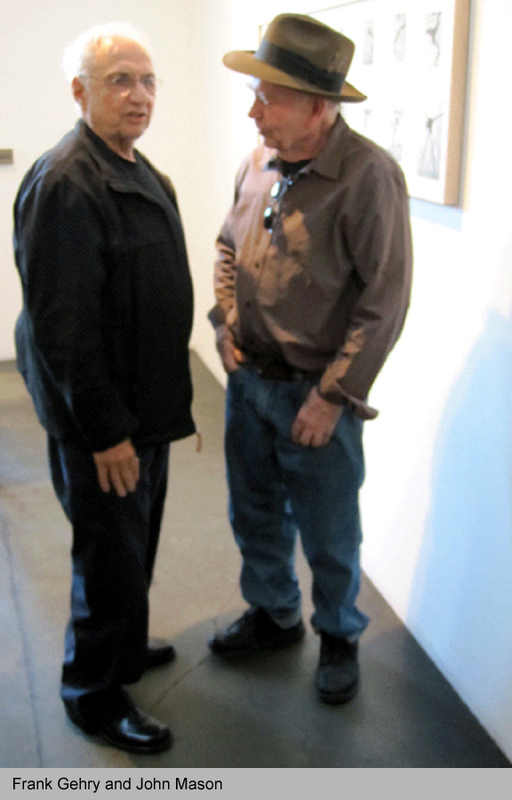 He has been friends with Peter Voulkos, John Mason, Billy Al Bengston and Elsa Rady for decades. He was the architect for the Ohr-O’Keefe Museum in Biloxi, Mississippi, as well, and that museum will hold a collection of pottery by George Ohr. This exhibition, on view from July 24 through August 21, grew out of a conversation between Frank Lloyd and Frank Gehry. It started as a casual idea, and grew into an exhibition—works chosen by Gehry, by people that he knows and respects. It marks an opportunity to see a variety of approaches to ceramic art, in a selection by a world-class architect. The exhibit also demonstrates, once again, the integration of the ceramic arts into the larger world of Southern California art and architecture.